Police have arrested a woman in Florida after she broke into a police station, stole food from an officer, and left her wallet behind. Yvelande Jean-Pierre, 29, is believed to have smashed a window to enter the police station on 2210 S. Congress Avenue, in the early hours of January 3, according to a report by Boynton Beach Police Department. She then took two readymade chicken and asparagus meals from the fridge, and heated one of the meals in the microwave. 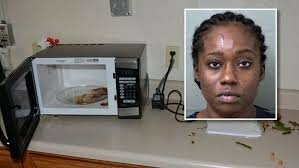 “One of the meals appears to have been consumed inside of the kitchen area, as the asparagus was left on the counter next to the microwave,” the police report stated. She then left the premises. Officers Darin Hederian and Gregg Koch arrived at the station at around 8:30am, to find that the window on the south side of the building, leading to the kitchen area, had been broken. Police believe Jean-Pierre stood on two recycling bins in order to access the opening. Agent Andrew Berben later arrived at the police station, and confirmed that the meals were his, and he had paid $7 for each. The police officers were able to track down the suspect after crime scene investigator Amanda Eichorst discovered a plastic shopping bag on top of a trash can at the front of the station. At first, officers thought the bag was garbage, but soon noticed it contained Jean-Pierre’s Florida ID card, and a State of Florida Security Officers card. Footage recorded by the station’s CCTV cameras showed Jean-Pierre walking to the front of the station at around 1:25am, and squeezing past a locked gate. She is then shown trying to open windows at the front of the station, but is unsuccessful. Fetching two recycling bins to the back of the building, she takes these to its south side. By around 2:21, she is seen climbing over the police station gate, and heading south on S. Congress Avenue. Police officers found the recycling bins depicted in the video underneath the broken window. Jean-Pierre is thought to have caused $300 worth of damage. On January 9, detectives arrested Jean-Pierre and charged her with burglary to an unoccupied structure, theft and criminal mischief. 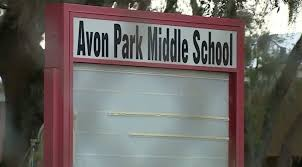 “Her first mistake was breaking into our substation,” Boynton Beach Police Department wrote in a caption to a statement on a document-sharing website. Officers made similar remarks on Twitter, alongside a photo of the crime scene.